Spring is here, conditions are shaping up at higher elevations, it’s time to get started on our remaining Centennials. 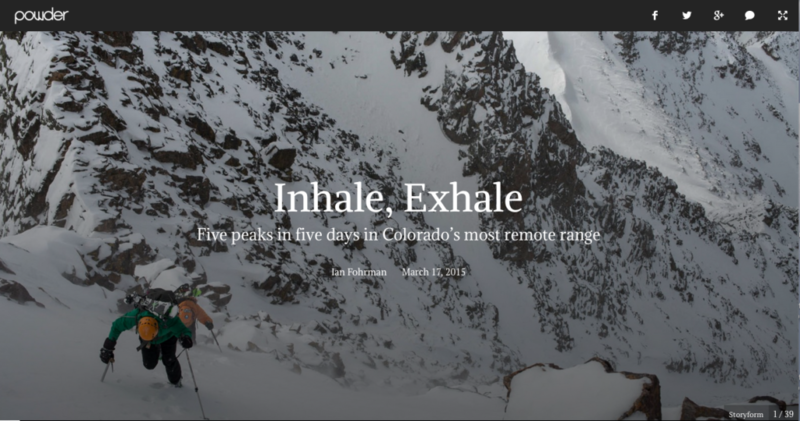 In the meantime, Ian Fohrman, who joined us on our Weminuche Traverse last May, put together an awesome online piece for Powder Magazine that we wanted to share. It has us super-psyched to get back to that zone to try to ski those few peaks that eluded us. Nice job, Ian.